Database Systems Corp. (DSC) is one of the leading providers of computer telephony solutions including automated call answering services. DSC offers these services at our highly secure data processing center. Inbound phone calls are processed at this center using our interactive voice response (IVR). This IVR solution asks callers questions using recorded prompts, plays information using text to speech convertors, and accepts phone keypad responses or recorded voice responses. Calls can be processed using our answering service without an operator. However, DSC can route these calls to service representatives for your company or organization. As designers of our own interactive voice response software, DSC is well positioned to manage inbound phone answering service campaigns, saving your organization both time and money. DSC can deliver call answering services quickly, providing you with a competitive advantage in the marketplace. From external database access to web integration including VoiceXML messaging, DSC can provide custom phone applications in a short period of time. Contact DSC to learn more about our call answering services, phone systems and outsourcing call processing solutions. Database Systems Corp. has developed numerous products and provides different phone answering services at its data centers. The following are just a few of these automatic call answering solutions. Toll Free Service - Automatically answers toll free phone numbers. 800 Phone Service - Automatic 800 phone answering services and software. Phone Answering Software - Phone software that automatically answers calls. Phone Answering System - Dialogic board and Intel based phone systems. Phone Answering Services - Hosted phone call answering service at DSC data center. Telephone Answering Service - Answers incoming telephone calls automatically. 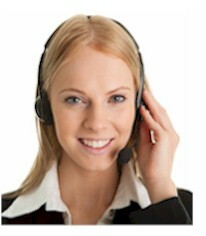 Answering Service Software - Call center software incorporating IVR that answers incoming calls. Answering Message Service - Records phone messages left on phone system and custom processes these recordings. Call Answering Software - Call software that answers incoming calls. Hiring By Phone - Conduct phone interviews by phone. 800 Number Services - Custom 800 number phone answering services. Contact DSC to learn more about our automated telephone systems.